JC Auto Design Is Moving! We are moving to a new house soon, and it will take a few weeks to get the new office and work area set up and ready to go. JC Auto Design will be temporarily closed while we move and get set up in the new location. Starting today, 11/07/2017, no new orders will be accepted. If you have an placed an order, and it is still pending, it will be fulfilled before we move, and you should receive a tracking number from PayPal soon when your order ships. If you have any questions, please feel free to ask! We will be answering emails while we are away. We will have some cool new products coming out in 2018, so stay tuned! 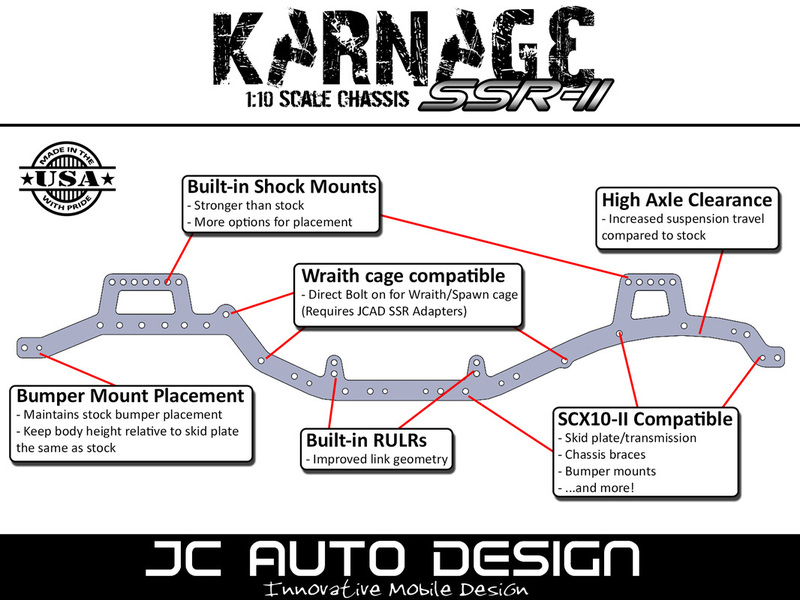 Click "Read More" to find out more about this chassis! We are back up and running, and I am catching back up on inventory and existing orders. If you have an existing pending order, you will receive an email with more accurate updates. As a thank you to our existing customers and those waiting to process an order, we are offering a limited time discount on almost all printed parts. Click "read more" to see more info about the sale. Recently, the 3D Printer that is used to print almost all of our products experienced a major malfunction. Replacement parts have been ordered to repair the machine, but in the meantime, we are unable to print parts until it is repaired. For now, most of our products have been listed as "backordered" and you will be unable to purchase any items until we are back up and running. I expect this to be less than two weeks of downtime, but that depends on the repair being performed correctly. If you would like to receive an update on when we are back up and running (and receive a coupon toward your next order as a thank you for waiting), please visit the CONTACT page, and submit an inquiry with your email address mentioning what parts you were interested in purchasing. For those that have pending orders with us, you will receive a specific email in the next couple of days to detail if your order is included in the delay or not. I plan to provide options for those that are waiting for their order, so please check your email. If you don't see anything in the next couple of days, please contact us. We would like to also take this opportunity to thank every one of our customers. We truly appreciate your support, and plan to bring some exciting new products very soon. Stay tuned! You asked - we listened. After receiving many requests to make a battery plate for the short wheelbase configurations of the Vaterra Ascender we finally have one ready to order. Also, due to the popularity of ordering the Battery Plate together with the RULRs, I have added a combo to order both and save money. 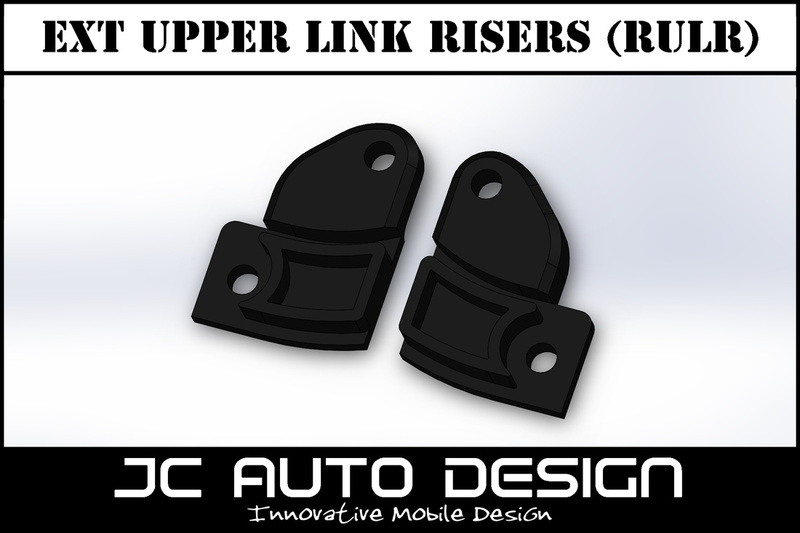 Click "Read More" for more info, as well as important information for customers that may have received defective Nylon parts. Effective today, 03/19/15, I will be updating the expected time frame for order processing. Orders may now take up to 2 weeks after payment to ship. Click the "read more" link to find out more about the order process, and why I will be extending the time frame. 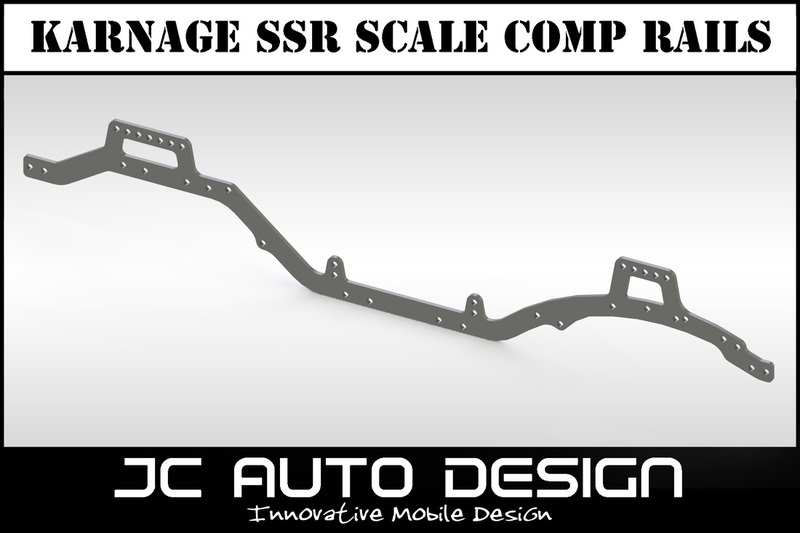 We are proud to announce the release of our new Karnage SSR Scale Comp Rails for the Axial SCX10. Click "read more" to learn more about the new product as well as how you might be able to win a set of these for free! The RULR Lineup has just grown! We've added options for the Vaterra Ascender, as well as an extended option for the SCX10. Scale Tech Disk Brake Spacers. 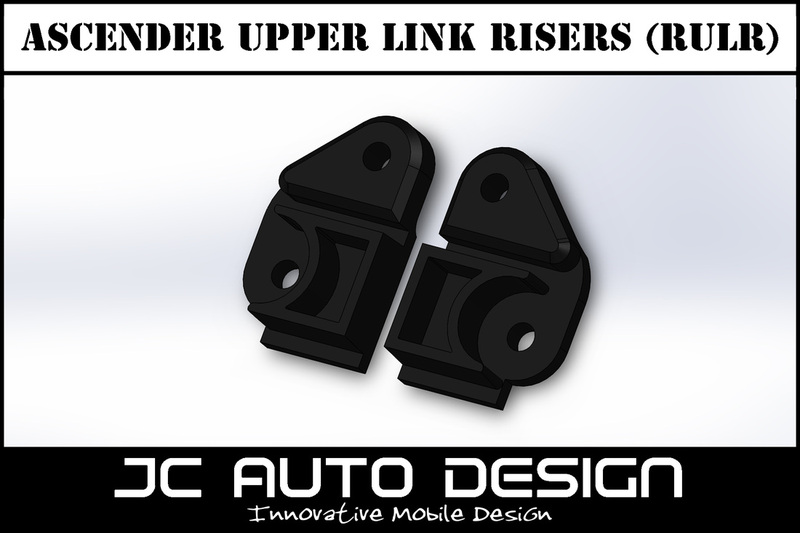 These spacers are designed to give your rig that extra scale touch, as well as space out your wheels to customize your offset. 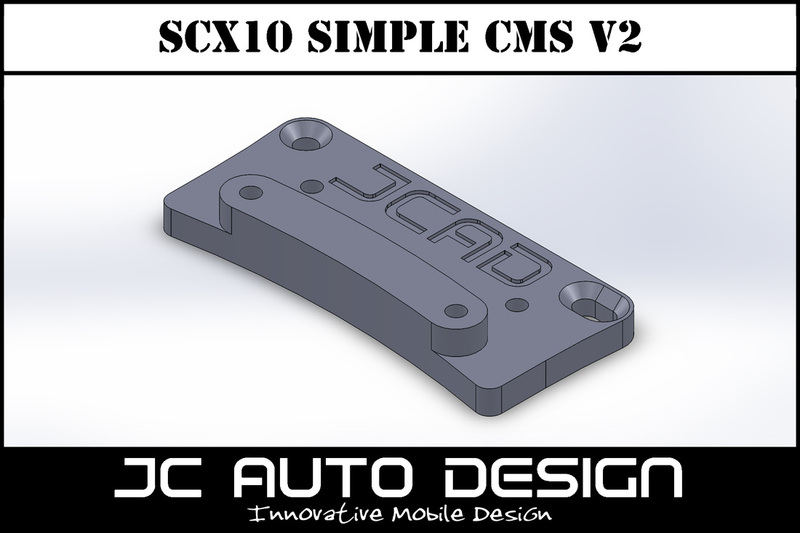 For more info click "Read More"
I have just added a new version of my CMS mount to the site.